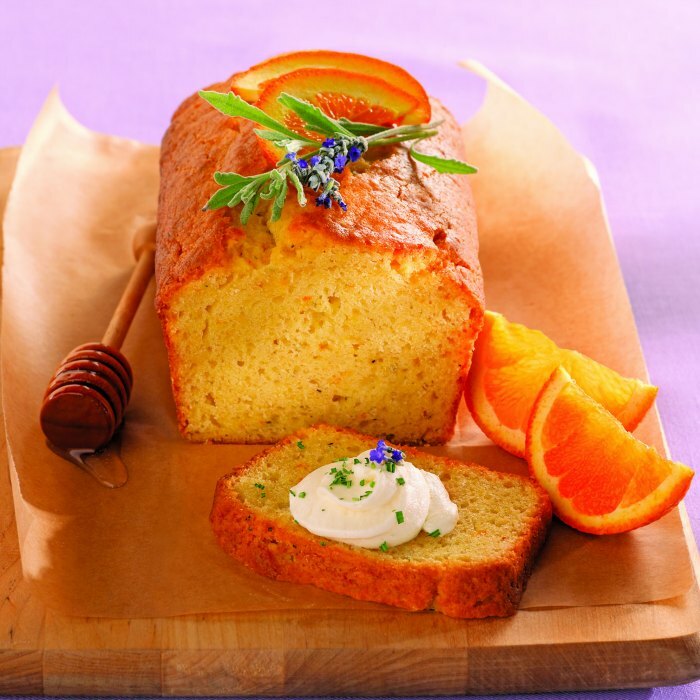 Lavender Cake with honeyed ricotta is simply a taste of Spring in every bite! This surprising flavor is sure to delight your guests! Light tasting olive oil is ideal as an all-purpose cooking oil that can be used in baked goods like muffins, cakes and brownies. For more delightful baking recipes, visit www.crisco.com. This post contains affiliate links. Heat oven to 350∞F. Spray a 9 x 5-inch loaf pan generously with baking spray; set aside. Whisk together sugar, orange peel, lavender and pepper in a large mixing bowl until evenly distributed. Add yogurt, eggs and olive oil; continue whisking until smooth. Add flour mixture and gently whisk in until just combined. Scrape batter into prepared pan. Bake 55 minutes or until a toothpick inserted in center comes out clean. Cool in pan 5 minutes; remove from pan and cool completely. Whip cream with an electric mixer until soft peaks form. Add honey and continue to whip until stiff. Add ricotta cheese, a dollop at a time, and beat until fluffy. Slice cake. Top slices with honeyed ricotta and sprinkle with lavender. « Diagnosing ADHD in Children: When Is the Right Time? Lavender is such a fun ingredient to experiment with! This cake looks lovely. 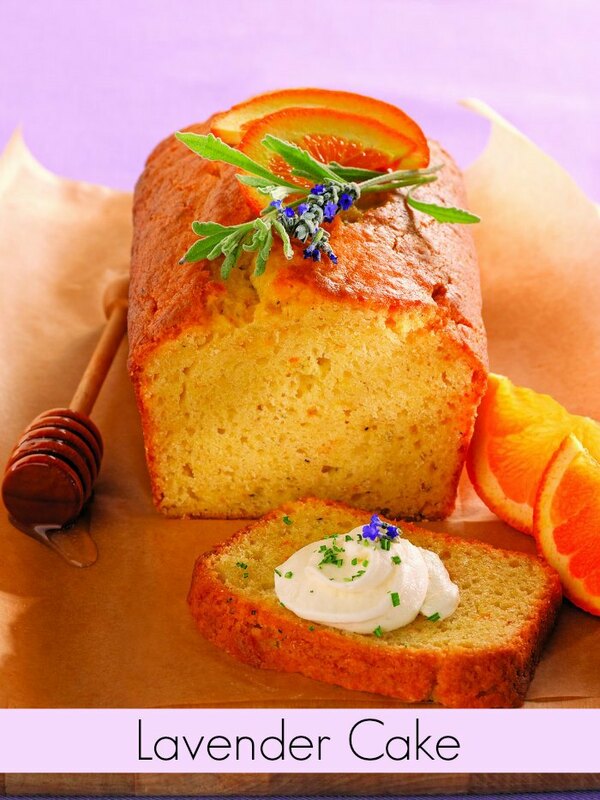 Did you use dried or fresh lavender in the cake? Thanks! I love lavender sweets!! Thanks for sharing at the What’s for Dinner link up! Anxious to try this cake, I have the lavender and ricotta that I need to use up. It sounds like a delightful little cake. Thank you for sharing. Jenny, this cake is GORGEOUS! The cake looks so gorgeous and moist..perfect for a Sunday dinner! I always like anything that has honey in it? this recipe surely has won me over hence ☺☺ thanks for bringing this to the Fiesta Friday party! Wow, love this cake. You are my feature at Thursday Favorite Things. Come and get your feature button. Your cake really looks good! Thanks for sharing at the Inspiration Spotlight party. Pinned & shared. This looks delicious. Perfect for a brunch. Thanks for sharing on Sunday’s Best. Your Lavender Cake is just beautiful! Hope you have a very special holiday and thanks so much for sharing with us at Full Plate Thursday.